An amazing 2 day excursion to one of the most breathtaking sites on earth. A rare geological phenomenon, Meteora (meaning 'suspended in air'), is at the foot of the Pindos Mountains, 120km from Ionannina. Rising from the plain is a group of rock pillars which were formed thousands of years ago with monasteries crowning the summit of these formidable pinnacles. Our Journey will take us through some of the most stunning parts of Greece, visiting beautiful mountain villages in the Zagoria Region and heading over the Katara pass into this alpine region. 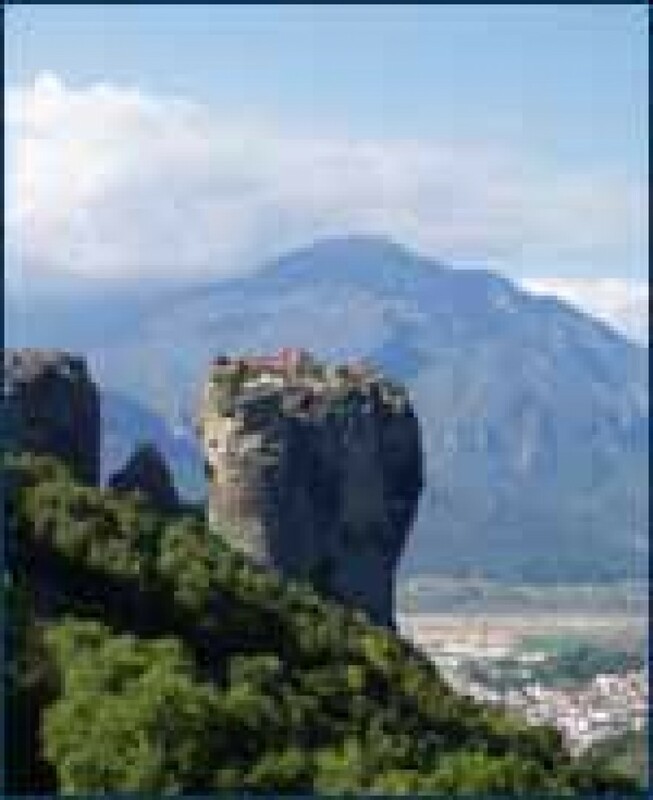 By early evening we arrive at our hotel in the village of Kastraki in Meteora. Guests then have a free evening. If guests wish to go out for dinner in the lovely town of Kalambaka then the coach leaves at 20:00hrs and returns at approx. 23:00hrs (dinner not include in price of excursion). Day 2, and after breakfast we head to the monasteries where we visit "Roussanou", one of the two nunneries and then onto the "Great Meteoron" which is the largest and oldest monastery. The excursion is guided and includes overnight accommodation, breakfast and entry into the monasteries.